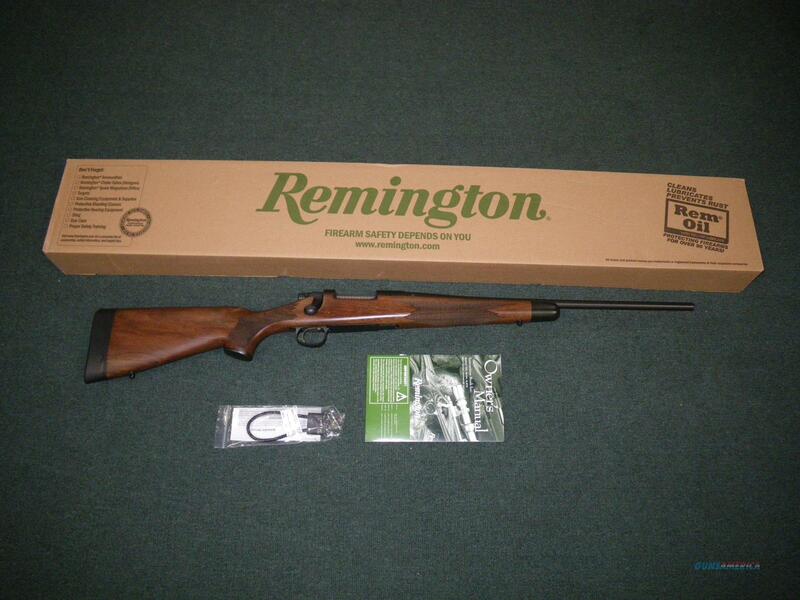 Description: You are bidding on a new Remington Model Seven CDL in 308 Win with a 20" barrel. Carry it in the field and you’ll understand why it’s considered one of the finest dense-cover rifles in America. Lightning-fast in close quarters and superbly accurate for the long shot, the compact, short-action Model Seven has been a knock-down, drag-out leader in the woods since 1983. Its receiver and action design are based on the Model 700 and deliver the highest level of out-of-the-box accuracy, strength and reliability in a platform that’s 2 3/8" shorter overall and weighs just 6 1/2 lbs. (standard calibers). The Model Seven CDL is the quintessential short-action hunting rifle featuring a classically styled American walnut CDL stock and a clean satin-finished barrel. Displayed images are stock photos. Any questions please feel free to ask (our phone number is in the additional information tab above).